Today, I am excited to share a layout I’ve created for Divi called Coffee House. Coffee House is, as the name would suggest, ideal for cafes, coffee shops, and the like. I’ve made it as versatile as possible so if you like the aesthetic I’m sure you can find many uses for the layout as a whole or its individual sections. Enjoy! To use the Free Coffee House Layout on your own Divi website, you will first need to download it using the button below. To gain access to the download you will need to subscribe to our Divi Daily email list by using the form below. As a new subscriber you will receive even more Divi goodness. If you’re already on the list, simply enter your email address below and click download. You will not be resubscribed. Next, locate the file Coffee-house-divi-layout-by-olga-summerhayes.zip in your downloads folder and unzip it. Then, navigate with your WordPress admin to Divi > Divi Library and click the “Import & Export” button at the top of the page. When the portability modal pops up, go to the import tab. Click the “choose file” button and select the Coffee-House-Layout-for-Divi.json file. Then click the blue “Import Divi Builder Layout” button and wait for the import to complete. Once the import is finished, you will have the ability to load your new Coffee House Layout on any builder powered page by going to Load From Library > Add From Library. For this demo I used the Divi Header Extention plugin by Elegant Themes. Upload the extension to your website by following the steps from the blog post above. After installing Divi Header Extension you will find a new menu item in your WP navigation called Divi 100. (You can choose other style if you prefer). 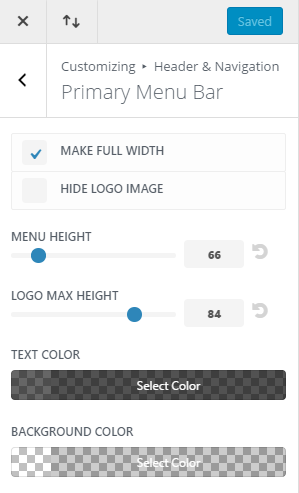 For Header Style choose “Fullscreen”. Make sure that “Show top bar” is not selected. Go to Divi > Theme Customizer > Header and Navigation > Primary Menu Bar. Adjust the logo size to suit your logo. Switch to Divi > Theme Customizer > Header and Navigation > Fixed Navigation Settings. Make sure that Fixed Menu Height is the same as Primary Menu Height. For this layout I styled the buttons to look like they are floating and created the illusion of the buttons getting pushed in on the hover. This is done by adding box shadow effect and changing the values for box shadow on the hover. To get the hovering/pressing effect you need to add the css code below. Click “Save Changes”. Now check your page, all your buttons should “float”. The last thing to add is css code to centre the “Submit” button for the Contact Form. Click “Save Changes”. This is it. The Coffee House layout can be used to create a simple website for a local coffee place. As with most layouts, you can duplicate and re-purpose the sections and modules to expand your site into a multiple page website. This layout has a few sections that will be useful for Coffee House customers: The Section “What we brew” lists the coffee available and it could be expanded or turned into the “menu” section. Section “The Origin of our beans” tells a story of the coffee sold and where it comes from. This section can be expanded into other pages, where you can have more details about the coffee or information about the business itself. Other important sections are: “Testimonials”, “Contact” and the “Map” to help new customers locate the business. Thanks for stopping by the Elegant Themes blog. I hope you enjoy this free resource. If you have any questions about getting it up and running just let me know in the comments below. Also, if you have any requests for future Divi Layouts you can leave those in the comments too! Thank you, Mario. Yes, that’s the one. Thank you, David. That means a lot. Do I have to delete my already built pages? Hi, Gunter. You don’t need to delete any pages that you built. To load the layout to your site, in your WP dashboard go to Divi > Divi Library. You will see the Import/Export button at the top. Olga, I’m searching for a simple order form. Maybe you know a good plugin? On the demo, the menu does not auto close after clicking the link. Is the supposed functionality? Hi, Richard. Yes, this is how this navigation works on the one-page layout. If you will use this navigation on a multi-page website, it will auto close after changing the page. Thanks Olga 🙂 This layout looks awesome! Thanks for the request! That would be a good miniseries to produce (the salon/hairdresser idea). Those businesses usually use a scheduling/booking system to help keep their various stylists booked up with new and repeating clients–so that would likely be part of the series too. Thanks for your inspiration in this nice layout ! Is it possible to get the normal header menu in mobile mode? And how do I do that? I am in awe of your generosity in producing this for a giveaway. I’d love to use it but I dont have a coffee shop. I assume it’s tweak-able for any kind of use…or am I wrong? You can definitely use it for whatever kind of site you want! I used the “diner” one for a dance studio website and it looks perfect! Interesting in finding out this as well. Layout still great … question Olga. I want to change the espresso-5.png file? Which programm did you use? I was told by our server guy to stop using divi, and remove all sites from our server that use it and never to use it again, said it is full of holes that attackers are getting in??!! That is simply not true. I can’t speak for your server guy or the setup he’s using but Divi is not “full of holes” that attackers can “get in” through. Divi is a secure theme that’s third party audited by Sucuri. Love the look of this theme. Having 1 issue though: my logo is in like a white navigation bar above the top image. This also causes the hamburger menu icon in the top right to be ‘invisible’ because it is white on white. Your theme has the logo literally on the image – did I miss something? I tried to use the visual builder to drag the top image up over the logo, however it just causes the image to disappear behind the white ‘nav’ bar. Any ideas? Nevermind – playing with the transparency of the primary header solved the problem! Hi, this is really cool, thanks! The example headline, “Come and enjoy a perfect cup of COFFEE”, does not show up on my site, can you tell me why that might be? Thanks! Oh, I just found it, it’s the custom css in the text module. Doesn’t work in my browser, apparently. Hello. This is a great lay-out, but……the font Dancing Script does not appear on ipad with the gradient css. I removerd the css code for gradient color and then the text appears in my ipad. Just a tip. It made my site “Error 500” I even need to delete it manualy just to fix my site. Bloody good layout, Olga. Accept my warmest congratulations. Thank you for your inspiration. Absolutely beautiful design. The colours and the button design really make this have such a high-class feel. Very nice layout Olga, thanks! If I go to Appearance -> Editor -> footer.php and tweak footer.php will I lose that tweak on the next Divi update?